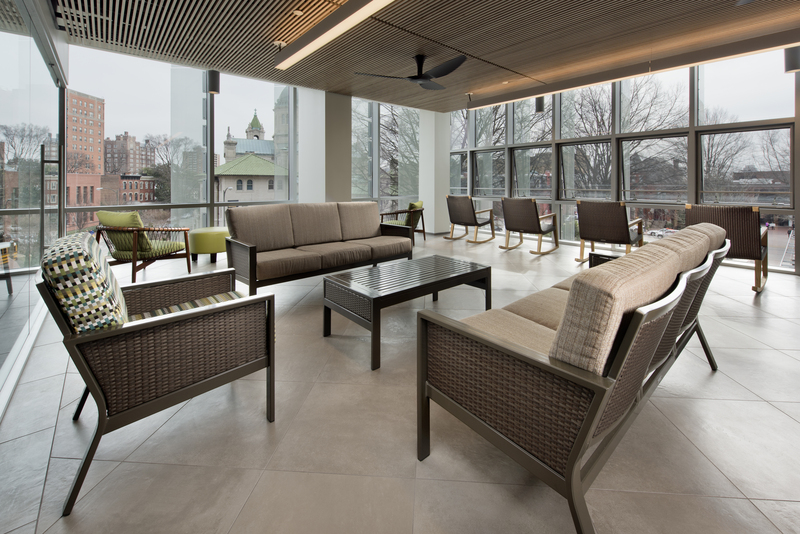 Cabell library is centrally located on VCU’s Monroe Park campus. 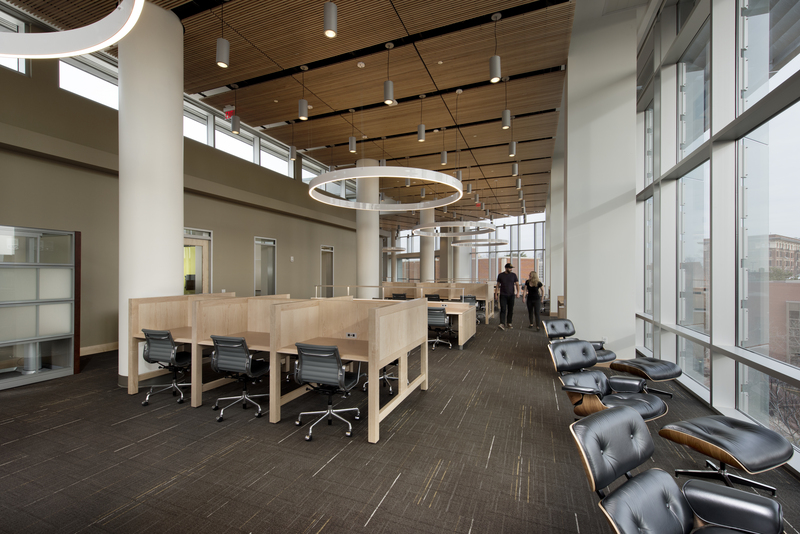 The 93,000 square foot addition to the existing space includes a maker-space, collaborative break out areas, conference/event rooms, and office space. 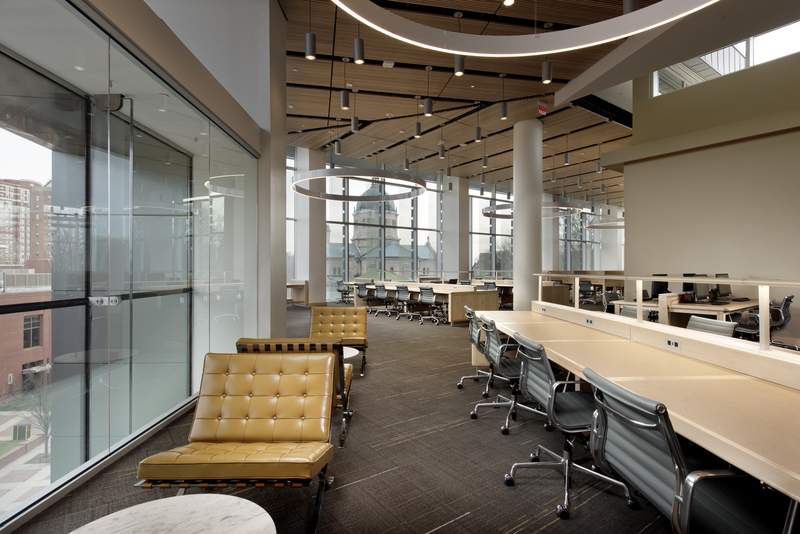 KSA Interiors selected furniture to support the lower level’s hive of creatives to the fourth floor’s elegant Graduate reading area. 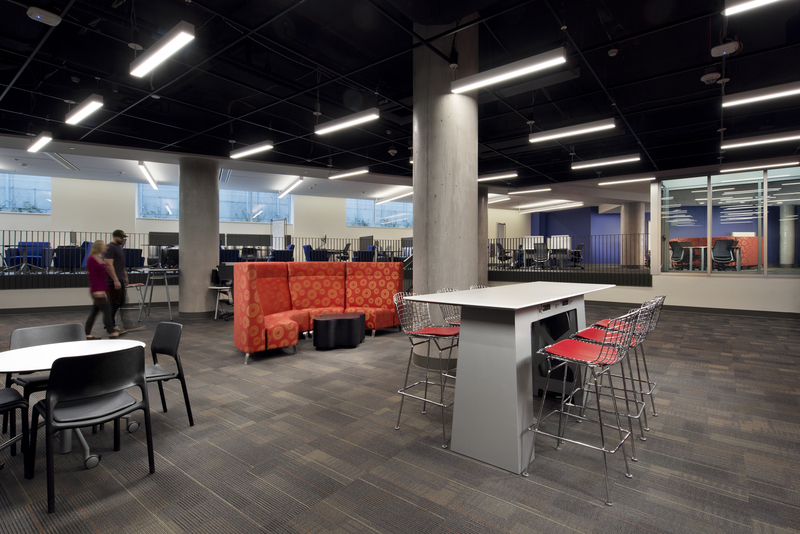 As you work your way up through the addition, the furniture layouts transition from agile and collaborative to stationary and private, adapting to the user’s needs.